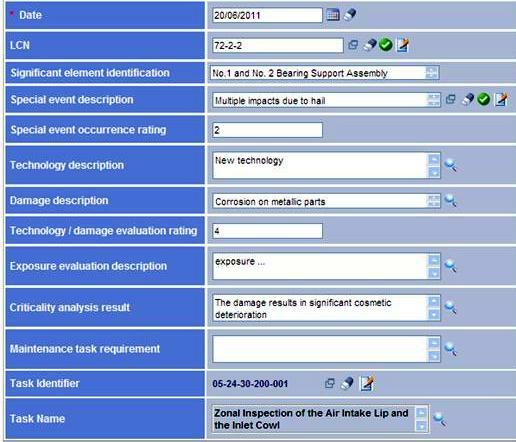 The purpose of LSA Commander DSEA (Damage and Special Event Analysis) Module is to identify special events and damages that may occur during aircraft service life and the resulting inspection/maintenance activities. The analysis results will be used to define maintenance tasks, which are an input for the Maintenance Task Analysis (MTA) Module. Through the analysis made using the DSEA Module, the engineer can come up with recommendations for design changes/improvements of the aircraft. The influence on design can result in changes in technology, assembly changes or precautions taken for gaining better protection of systems, sub-systems or items in the aircraft.